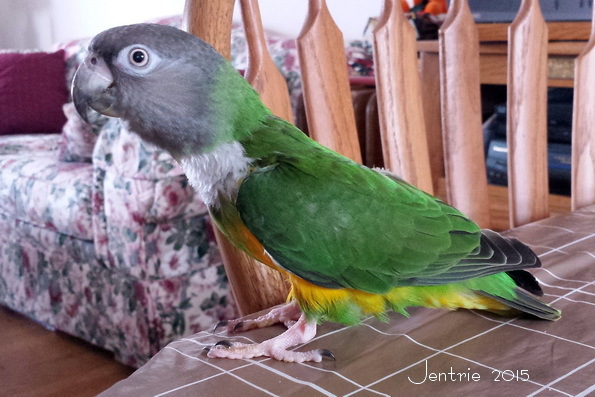 I adopted Jentrie, a Senegal Parrot, a few weeks ago. He recently arrived at the bird shelter in need of a new home after his owner of 21 years could no longer care for him. He is still getting used to us but adjusting nicely. Bless you and your big heart for adopting that sweet baby! 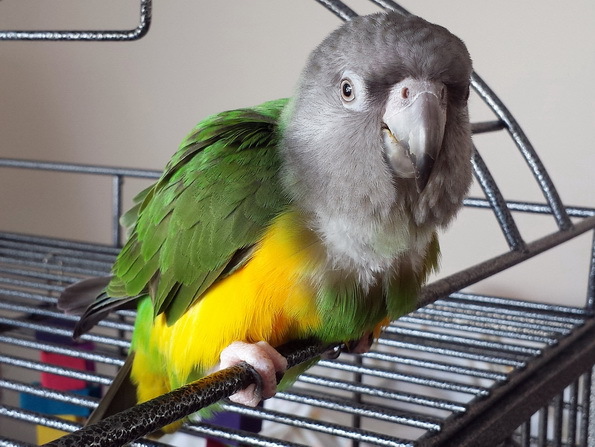 Awesome that you has given a home to a parrot in need! People don’t realize how many parrots need good homes. I am an artist and conure owner, so I donate art to help fund raise for an incredible parrot rescue organization once a year. Congrats on your new (and I’m sure brilliant!) baby! He is so cute! I have never had a bird as a pet. You are a treasure for the birds in your area. I’m glad Jentrie found a home with you. How cute and how great of you to give this bird another chance at happiness. What a striking fellow Jentrie is. I don’t think I’ve seen a Senegalese Parrot before- what beautiful colourings. How lucky you are, and how lucky he is to have you. Beautiful bird! Thanks for sharing. Gorgeous! Sounds like he has a nice home!